Are you, just like us here at TopVintage, a lover of that vintage and retro style and looking for something quirky? Then you're good to go with Woody Ellen! 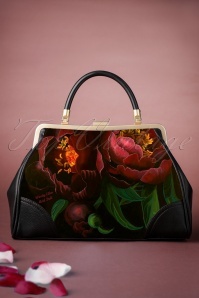 The handbags are made by the same name Belgian illustrator and artist who hand paints every bag with utter precision and love! Super cute bags with prints of the most lovely and arty drawings. 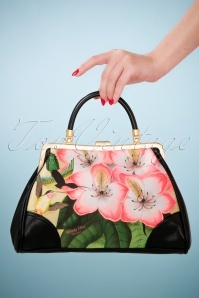 You can always visit our TopVintage retro boutique for different kinds of Woody Ellen bags. From wallets and cases to clutches and bigger handbags. 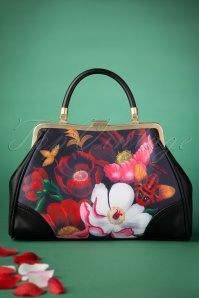 Beautifully finished off with for example high quality black faux leather and always with a typical 50s clip closure. 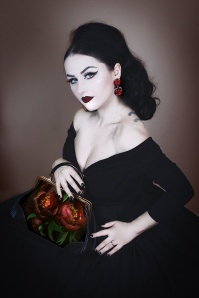 The bags are available in several prints. The 'drawings' are printed on water resistant microfiber fabric so, no matter what kind of weather, you can always use your Woody Ellen bag. 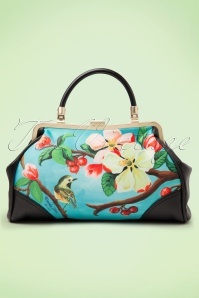 Which of course isn't a redundant luxury in our rainy country, The bags you'll find by this brand at TopVintage are 'Blossom', 'Blue Girl' and 'Bird girl'' collections and are inspired by same name paintings. Lovely drawings that made these bags super cute. 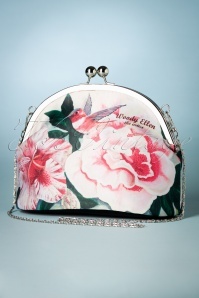 With Woody Ellen bags you'll know for sure you've bought something special and unique. Take a look at these babies in our webshop, where we offer a lot more retro bags.